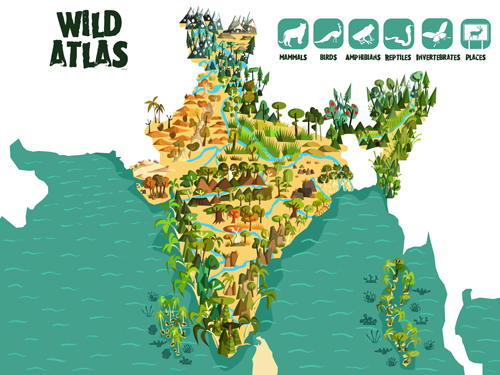 Presenting 'Wild Atlas'- an interactive web game I designed for WWF India's new education portal, One Planet Academy (http://academy.wwfindia.org/). The game is divided into 6 themes- Mammals, Birds, Amphibians, Reptiles, Invertebrates and Places (sanctuaries). When a player clicks on a theme to start the game, 15 icons appear on the sides of the screen, which are to be dragged and dropped on the blank spots on the map, based on clues provided. 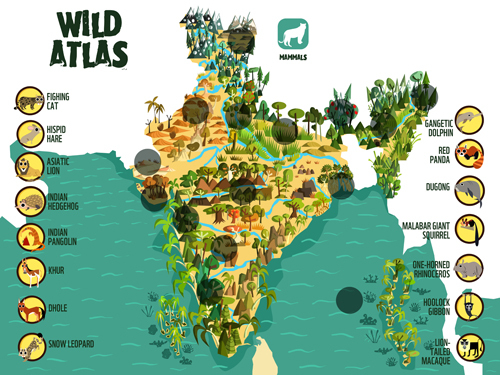 The game not only presents India's biodiversity in full glory, but also enables the player to familiarize virtually with the distributions and ranges of fauna in India. Visit http://academy.wwfindia.org/ to register and play! 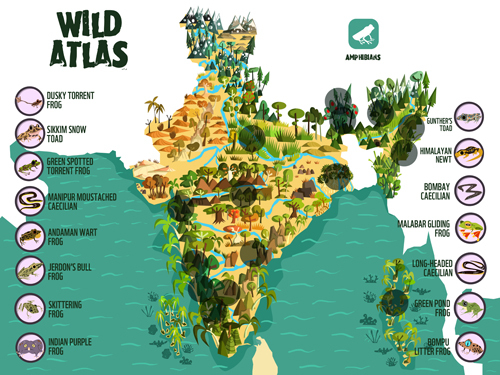 A big thanks to WWF's Education team under Ms. Radhika Suri for choosing to work with me, to Studio Ek Saath for programming the game, and to my friends who helped me generously with information for the game- Zeeshan Mirza, Shaleen Attre, Gururaja KV and Abhishek Gulshan. Sorry to be annoying about this, Rohan, but Fishing Cat is misspelled.